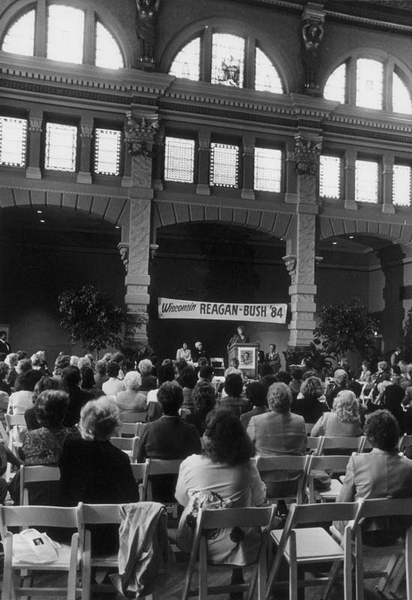 This election demonstrated Reagan's immense popularity during a time of economic recovery. Reagan's campaign emphasized optimism and national pride. Mondale criticized the federal budget deficit and the arms race. He attacked Reagan's cuts in social programs and characterized his administration as a "government of the rich." Mondale failed to articulate a vision. 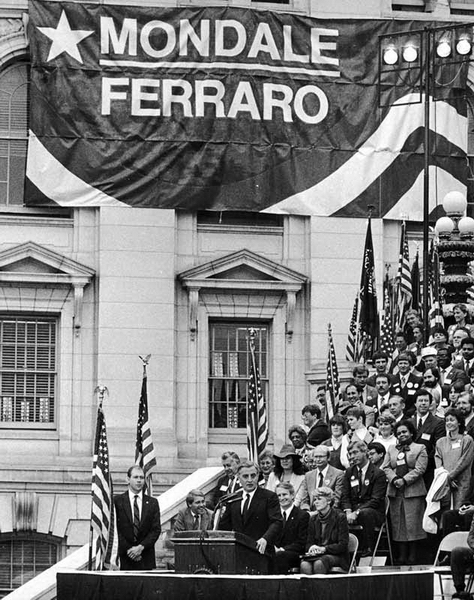 Ferraro was the first female to be nominated for national office by a major party. Ferraro's husband's finances and her stand on abortion brought controversy to the campaign. Wisconsin campaign rally for Reagan/Bush, October 10, 1984. Photo by Ned Vespa, "Milwaukee Journal." 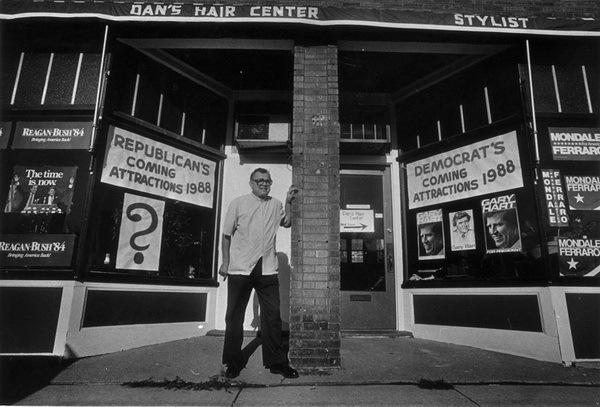 Milwaukee barber Guy Marty displays campaign material from both parties, 1984. Photo by Erwin Gebhard, "Milwaukee Journal." 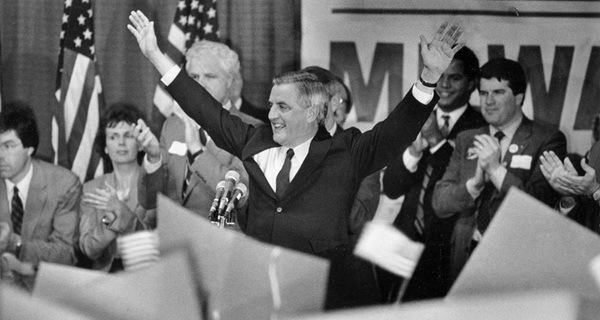 Walter Mondale campaigns in Milwaukee, October 24, 1984. Photo by Dale Guldan. Walter Mondale and Geraldine Ferraro campaign at the Wisconsin State Capitol, October 1984. Photo by Henry A. Koshollek, courtesy of the "Capital Times."